USAPRS Thomas F. Farrell, Jr. Laid down, 2 March 1942 as MV William Lester, a Maritime Commission type (N3-M-A1) hull, under Maritime Commission contract, (MC hull 464), at Penn-Jersey Shipbuilding Co., Camden, N.J. 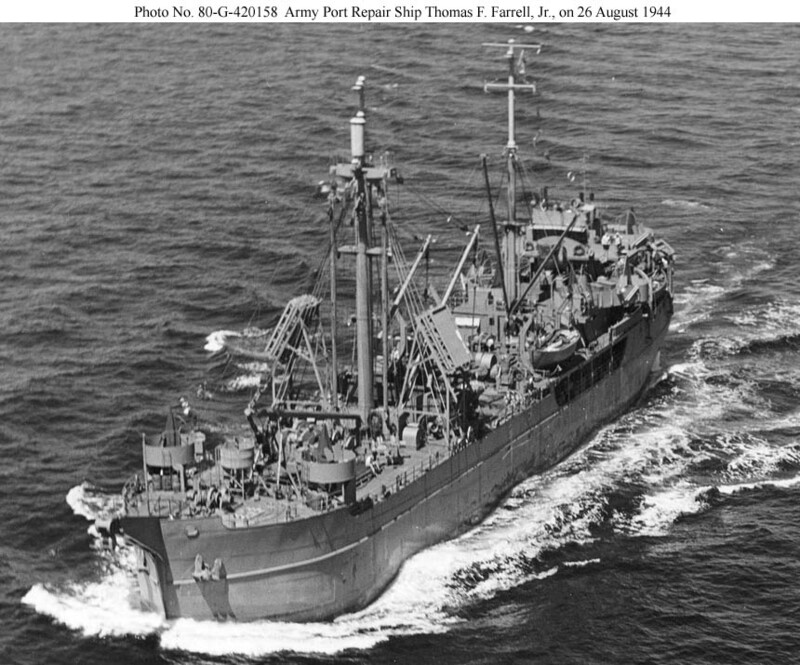 Renamed USAPRS Thomas F. Farrell Jr., conversion to a a Port Rehabilitation Ship completed circa June 1944 at Bethlehem-Fairfield Shipyard, Inc., Baltimore, MD. 159k USAPRS Thomas F. Farrell, Jr. underway off the East Coast of the United States, 26 August 1944. Europa (AK-81) / USAPRS Thomas F. Farrell, Jr.